FFI has developed a portfolio of well-known restaurant brands across the globe that include The Meat Co. and Attic, which currently reside within the “Block 338” area of Manama. As per the deal, FFI will open the first Nikkie cuisine (Japanese-Peruvian) restaurant concept named Clay in the largest of the 10 spacious units available in the complex. This unit represents 20 per cent of the occupancy of the leasing area at The Terminal, which has seen high demand since completion, said a statement from Edamah. Strategically located in the vibrant fine dining “Block 338”, Edamah’s The Terminal was carefully designed with the aim of providing a full-service solution for visitors to the busiest part of Adliya, bringing together dining, retail, and convenient smart parking all under one roof. It is the latest in a series of recent developments in Bahrain which have contributed to the strong performance of the Bahrain real estate sector, which grew by 7.6 per cent during the fourth quarter of 2017 due to high demand for residential, tourism and retail developments in the Kingdom. Welcoming FFI, Edamah CEO Amin Alarrayed said: "Located in one of the most sought-after areas of Adliya, the group’s new restaurant is set to benefit from major demand from locals and tourists in a location growing steadily to become the go-to destination for culture and dining in the kingdom." "We look forward to welcoming more new tenants to this iconic architectural landmark,” he added. According to Edamah, The Terminal is an emerging pathway focused on developing a culinary hub within the Block 338 area, providing a channel for new businesses and local entrepreneurs that fit within the district. 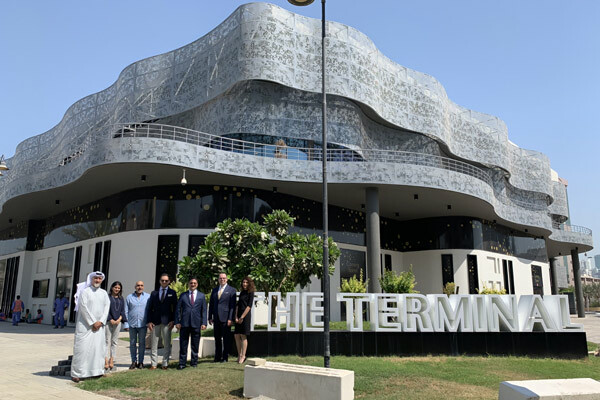 The landmark building will house tenants from food magnates and entrepreneurs in Bahrain as well as provide ample car-park spaces that ease parking in the area. This will create time savings while further enhancing visitors’ experience at Block 338, it stated. FFI chief executive Johnny Tomazos said the group was eager to expand its presence in the Bahraini market and looked forward to introducing Clay within such a premium location.